Hi everybody! 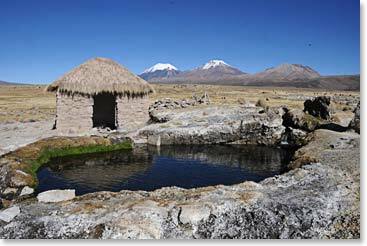 This is Trevor Stuart calling and I am calling from Sajama village in Bolivia. 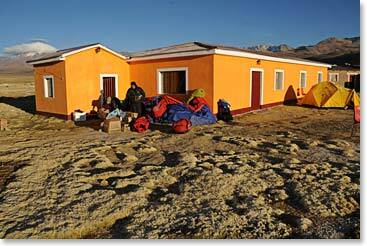 We are getting ready to leave tomorrow morning for base camp on Mount Sajama. 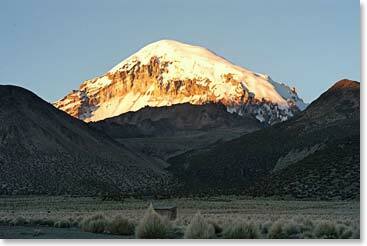 Today we had an acclimatization day where we drove up a mountain near Chile which isn’t far from here, over 5,000m. We hiked around and then came back down here to Sajama village. It was an amazing lunch too. Maria cooked up some chicken, a salad and we had cantaloupe, all kinds of good food. Then we went to a natural hot springs just 5km away. Wow, what an experience that was! We were in the plains between a volcano west of us and Mount Sajama was to the east. So, it was amazing! We saw the route we are going to climb for the next three days. We are back in the village and ready to eat dinner. I want to say thank you to everyone for the stories and the blogs and everyone that has supported my climbing adventures.